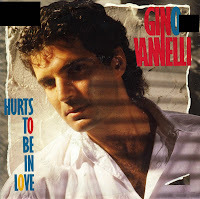 Gino Vannelli sounds a lot like a crooner on this song, although 'Wild horses' is very much an eighties production. The single was taken from his 1987 album 'Big dreamers never sleep'. It was his last hit in the Netherlands, peaking at number 7 in May 1987. I'd all but forgotten this single when I suddenly heard it again sometime in 1991. I thought it was really very good and started hunting. Within a couple of weeks, I'd found my copy. Gino Vanelli was born on June 16, 1952 in Montreal, Quebec. His career took off in the Seventies, when he signed to A&M Records, releasing his debut album in 1973. 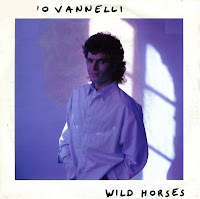 Although successful in Europe and America, Vanelli never had a hit in the UK. He continued to be successful in the Eighties, with this ballad as a good example. 'Hurts to be in love' was released in December 1985 and reached number 6 in the Dutch Top 40. The single also reached number 57 in the US Billboard Hot 100 chart.